Libraries have always been at the forefront of technology. From originally being one of the only places to offer public computers to library automation to high-tech media labs, libraries work hard to bridge the digital divide and offer the most current and broad access to research and information. The IOLUG Program Committee is sending out this Call for Proposals to hear about your technology projects, both past and present. We invite proposals that show us how far we’ve come with technology or give us insight into where we’re going and what’s next for libraries. For this anniversary conference, we especially welcome proposals from past presenters. We would love to hear updates on your projects since you last presented, whether that was one year or twenty-one years ago. What is the impact of political polarization on curricula, pedagogy, funding, and other imposed policies across the educational landscape? How are P-16+ educators and school leaders responding to politically motivated intellectual and policy challenges at the school level? In what ways are teacher educators revising their materials and methods in response to political strife? How are educators negotiating political conflicts with government and community stakeholders at all levels? For example, some educators in the UK hope to revive political education at the school level as a means to create a more civically literate society. Similarly, in the US, where the federal administration has taken controversial stances on climate change, civil rights, and immigration, many teachers are adjusting curricula and pedagogy to emphasize and retain access to social and scientific knowledge important to a just and inclusive democracy. In many countries and cultures around the globe, educational processes are being mediated by state-sponsored mandates. This themed issue seeks to explore and highlight the educational advocacy and activist work being done in the name of global literacy, social justice, and resistance in a political climate where new filters on knowledge may seek to dismantle public education and affiliated social institutions by limiting critical perspectives in students’ educational experience. These questions suggest topic areas but are not exhaustive. We encourage submissions not only from scholars and researchers but also from students, teachers, and community members. Submissions should not exceed 7,000 words, including all references. Please include the code “823” at the beginning of your manuscript title. Dr. Tabitha Dell’Angelo (dellange@tcnj.edu), or Dr. Ryan Flessner (rflessne@butler.edu). Information is not neutral. The concept of “authority” includes innate bias toward people with privilege. The cultural, socioeconomic, and racial backgrounds of students have an effect on the way they seek information. Access to information is a human rights issue. 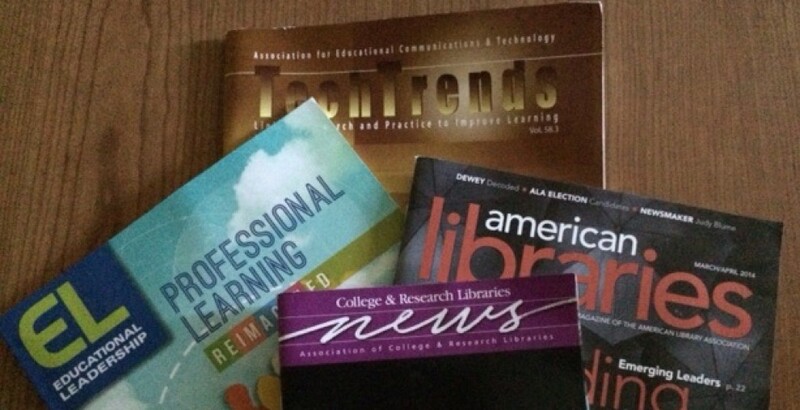 These are all examples of ideas that fall under the umbrella of “Critical Librarianship.” (http://www.ala.org/acrl/publications/keeping_up_with/critlib) How are you applying these ideas in your library? Where do you see a need for critlib at your institution? How can we serve our students more equitably? How can we increase diversity within the profession? Brainstorm and submit a proposal to present at the 2017 OK-ACRL Conference. Proposals are due October 6th and presenters will be notified of acceptance by October 20th. Please contact Karl Siewert at siewert@nsuok.edu with any questions. The conference will be held on the Oklahoma State University Tulsa campus on November 10, 2017. For OLC Innovate 2018: Education Reimagined, to be held April 18-20, 2018 at the Gaylord Opryland Convention Center and Resort in Nashville, Tennessee. Do you support faculty researchers or graduate student researchers? Or, do you do your own research? Then we have a conference for you! Please join us for the 4th Empirical Librarians conference, EmpLibs18. EmpLibs18 is a mini-conference on librarians and research, and will be held on February 16, 2018, at the University of Tennessee Conference Center in Knoxville, TN. (2) doing research in libraries. All proposals will be subject to double-blind peer review. We are particularly interested in hearing practical ideas for researcher support and concrete discussions of methods for librarian research. Our experience is that the more we learn about doing research the better we are at supporting research, and vice versa. For that reason this conference brings together librarians who are researchers with librarians who support researchers, in order to share all manner of knowledge about research! This would be a great forum for presenters to revisit an already-presented project but focus on the “how to” of techniques you used instead of the findings. Please submit proposals for concurrent sessions, panels, and/or lightning talks at http://www.library.ncat.edu/elprop by November 30, 2017. Empirical Librarians is a small conference focused on librarians doing research and librarians supporting researchers. EmpLibs18 will be a one-day conference with a half-day preconference. The conference will be held at the University of Tennessee Conference Center in Knoxville, Tennessee, on Friday, February 16th, 2018, from 9:00am to 4:30pm. An optional writers’ preconference will be included for interested librarians on Thursday afternoon from 1-5pm. Empirical Librarians is co-sponsored by the UT University Libraries and North Carolina Agricultural and Technical State University (NC A&T) library. For questions or more information, please contact Nina Exner at ninae@ncat.edu. Thanks! Change is an inevitable and can be a welcome part of our jobs. In this ever-changing landscape, libraries are feeling pressure to provide solutions to many and various challenges: shifts in access to our resources, “evolving” ideas of credibility and authority, increasing threats to our patrons’ civil liberties, a movement to “all-things-digital”, staff/library reorganization, and more. How can libraries rise to the challenges of engaging our students and colleagues, advocating for our communities, and protecting our democracy? The CARL 2018 Conference builds upon the CARL 2016 Conference, “What we talk about when we talk about value…” by asking: How will we, as libraries, navigate change, reassert and use our core values to ground our everyday work, strengthen our advocacy, and buoy our hopes in times of uncertainty? From a March 2017 article in American Libraries, trends to watch include: entrepreneurship, civic engagement and innovation, school libraries as global educators, sustainability, virtual reality, welcoming communities, accessibility, academic tech focus, and 21st century ethics. What do these trends look like on a more local level, and how can we translate them into the work we do on a day-to-day basis? Successful proposals should demonstrate fearless risk-taking, quirky approaches to the same old problems, and down-right insanity when it comes to embracing change. Preconference Sessions: These 4-hour workshop sessions will provide a research framework for practical activities that engage participants around a topic. The due date for these proposals will be October 1, 2017. Research into Practice Sessions: These sessions will present original research around the conference theme in a 60-minute session. The due date for these proposals will be October 1, 2017. Engaging in Practice Sessions: This presentation is a 60-minute session that is structured to include audience participation in the form of engaging discussion questions or activities, and have a practical take-away for the attendees. The due date for these proposals will be October 1, 2017. Panel Presentations: These sessions bring together 2-5 presenters into a cohesive conversation intended to engage audience members in a 60-minute session. The due date for these proposals will be October 1, 2017. Poster Sessions: This sessions will be posters on a topic related to the conference theme. The due date for these proposals will be January 15, 2018. Round Table Discussions: These sessions will offer conversation on a current topic in libraries, in a casual, round table setting. The due date for these proposals will be January 15, 2018. All presenters must register and pay for the conference. All presenters, regardless of session type, will be asked to submit a paper and/or summary of their session to the proceedings. If you have any questions about the conference, please contact the conference planning team. and faculty as part of your first professional library job? with distance librarianship. Especially if this is a role new to your library. with you before final submission of panel proposal. Journal of Formative Design in Learning bridges the gap between theory and practice by providing reflective practitioners (designers, teachers, instructors, researchers, and others) in teaching and learning with a single source of scholarly papers that discuss new developments and the impact of this new knowledge on the field. The journal publishes original papers on research-based design and development with a focus on applied research, including evaluation reports, action research, case studies, and lessons learned that inform improvement in instruction, and design and development approaches. While the main audience is practitioners, all articles are grounded in established research and theory. The journal encourages and nurtures the development of reflective practitioners of the learning sciences and serves to update and redefine the concept of learning. The journal fosters collaborations between researchers and practitioners of the learning process, and articles inform the study and practice of education and training. The journal provides opportunities not only to established academics and practitioners, but also to junior faculty and emerging scholars. A formative peer-review process is specifically designed to help less experienced authors understand the submission, review, and publication processes of this peer-reviewed academic journal. I am editing a book titled “Methods for Analyzing and Leveraging Online Learning Data.” I am interested in data from MOOCs, LMSes, online training platforms, mobile learning platforms, education-applied social media platforms, and so on. Would any of you have chapter proposals or possible draft works? Finalized chapters would be due Nov. 30, 2017. As universities continue to add and diversify their graduate programs, academic libraries have become increasingly responsive to the distinct needs of graduate students, considering and experimenting with specialized services, instruction programs and spaces. The mission of the conference is to provide the opportunity to share innovative approaches, best practices, and research on how academic libraries serve graduate students. For this second conference, we will give priority to proposals that clearly show how the session organizers will foster participation during the session. 5-minute lightning presentations: Do you have an idea or tip you’d like to tell others? You’ll have five minutes to tell your fellow graduate librarians all about it!